The connection of the Haftorah to the Parsha: This week is the seventh and final week of the “Shiva D’Nechemta“ , the seven weeks of comfort that begin following the fast of Tisha Be’av and run until the Shabbat before Rosh Hashanah. During this time, one’s concentration should be on repentance, and improving one’s behavior. Therefore, there is no direct connection between the Parsha and the Haftorah. The storyline of this week’s Haftorah: The prophet Yishayahu (Isaiah) voices the feelings of the redeemed people. “Sos asis baHashem” “Israel will greatly rejoice in Hashem’s salvation.” The prophet will be silent, but not Hashem. Hashem will not be silent until Zion’s cause is vindicated, and her fame and glory are universally acknowledged. She and her children will be reunited. Zion will have a new name. Jerusalem will be the crown of beauty in the hand of the Lord and Mount Zion won’t be referred to as “The abandoned one” any longer. Hashem will rejoice over Bnei Yisroel, like a bridegroom rejoicing over his bride. Hashem will appoint angels to be the watchmen of the walls of Jerusalem who will not cease praying for its restoration. Hashem has promised that the city will never be plundered by its enemies or strangers, but it will enjoy the fruits of its labor in security and peace. The nation of Israel will be redeemed and called a Holy People. The Haftorah continues with the final triumph of Hashem over Israel’s enemies, which is the first step to the redemption. One of the most impressive and awe inspiring images in all of Tanach is presented here: a solitary and majestic figure, in blood-red vesture, is seen approaching from the direction of Edom. A question of surprise escapes from the prophet’s lips as he contemplates the singular and startling apparition, and a brief reply comes from afar. The hero is none other than Hashem, the God of Israel, who has emerged victorious from the conflict with Edom, the predecessor to Rome and Christianity! Why is His clothing red? The Divine answers that He will destroy Edom in a blood bath. The prophet Yishayahu praises Hashem, for his past kindness and mercy to Israel. Famous Phrases: Isaiah 26:4, “Bitchu Ba’Hashem adai ad, ki b’kah Hashem tzur olamim” “Trust in Hashem forever and ever, for Hashem is your eternal Rock of Salvation”. Haftorahman’s lesson of the week: Yishayahu speaks of a time in the future when the Mashiach (Messiah) comes when Hashem will destroy all our enemies and when there will be an ingathering of the Jewish people to the land of Israel. Hashem is portrayed in this Haftorah in humanistic terms; however we know that G-d is anthropomorphic, devoid of human appendages or feelings. Nevertheless, G-d displays Himself in such a way to demonstrate His closeness with Bnei Yisroel. Hashem is a merciful and compassionate G-d, illuminating the idea of His countenance towards us through the vision of Him in a human form. We should not take G-d’s mercy for granted, for He can rule by justice or mercy. He has chosen to be compassionate and caring in such a way that Hashem suffers when we suffer. In the same token, Hashem will not be at peace until we are restored to our homeland and settled in Jerusalem with eternal peace. Learning Torah and doing mitzvoth will help quicken the days of the coming of Mashiach. We should always look towards and work for that day when we can return to Jerusalem and know Hashem. This is a Seal from the time of the FIRST Beit Hamikdash (King Solomon’s Holy Temple) that was recently found in Jerusalem. The prophet Isaiah was alive around this time. WOW!!! 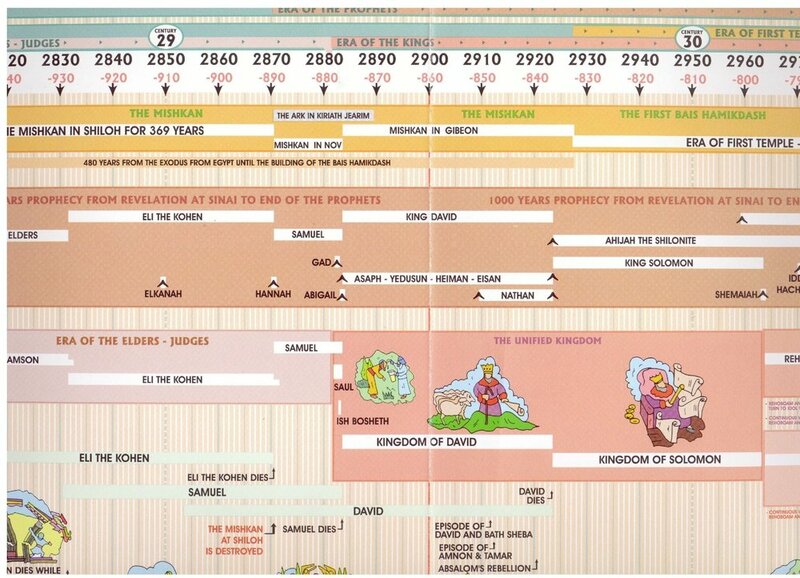 Timeline: This Haftorah takes place just before the Bait Hamikdash was destroyed about 2600 years ago.